The Indian Premier League is a Twenty20 cricket tournament in India. The Board of Control for Cricket in India (BCCI) began the tournament after a dispute with the Indian Cricket League. The league is headquartered in Mumbai, Maharashtra. The first season of the Indian Premier League began on 18 April 2008. 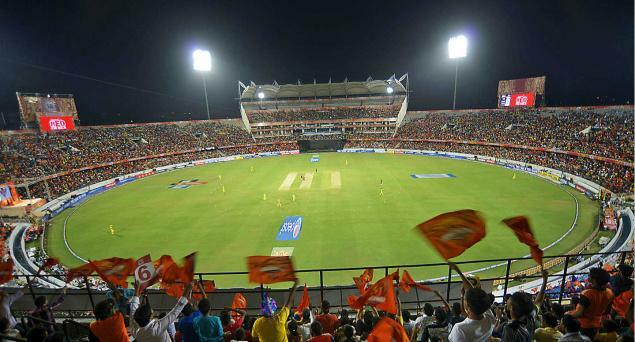 Crowd during a match of the 2015 IPL season in Hyderabad, India. Indian Premier League Facts for Kids. Kiddle Encyclopedia.